Kids Plus Foundation announced on August 3 an exciting collaboration with Deakin University along with details of the Foundation’s new $3m centre. “Kids Plus is committed to supporting children and young adults with disabilities reach their potential. The collaboration with Deakin University will build capacity, foster service delivery innovation and enhance our ability to provide the best supports possible. 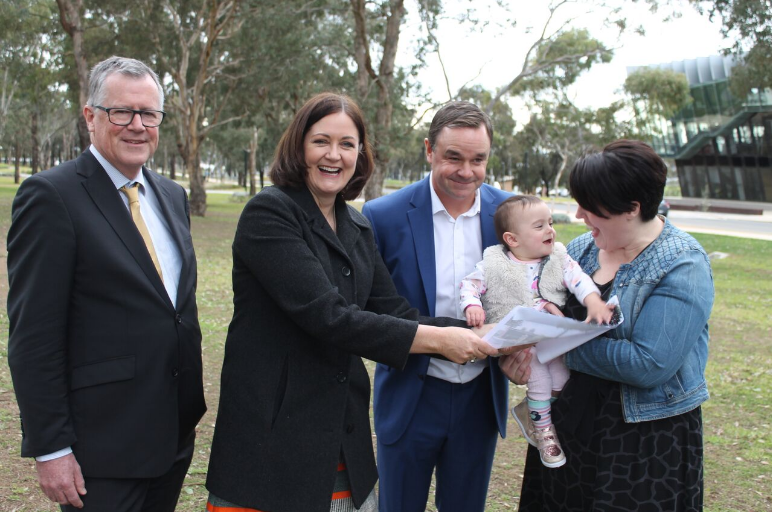 Our new Centre will have a significant positive impact for families and allied health practitioners across our region,” Kids Plus Chief Executive Shaun Cannon says. The Kids Plus Foundation Centre for Therapy, Research and Training in Geelong will be located at Deakin University’s Waurn Ponds campus. Construction will commence in November 2018. The Centre will open to clients in January 2020. The $3m centre has been funded by philanthropic grants, local community fundraising efforts and $1.47m from the Federal Government’s Building Better Regions Fund. A key philanthropic grant of $750,000 was received from the Anthony Costa Foundation. “Deakin University is a wonderful location for the centre which is being backed by $1.47 million from the Turnbull Government. This new facility will be life changing for hundreds of children every year,” Sarah Henderson MP says. This collaborative agreement between Deakin University and Kids Plus Foundation unites the shared vision from the two organisations for the provision of high quality health and disability services through support of student clinical learning and research and thus the development of expert health professionals. Benefits of the collaboration will enable the Foundation’s client group to pair with the University’s research capabilities, to provide students with placement opportunities, foster further relationships and increase the number of families the Foundation is able to support. Deakin’s Executive Dean of the Faculty of Health Professor Brendan Crotty said he was delighted to welcome Kids Plus and the new centre to the University’s Waurn Ponds campus. “Kids Plus has already been working with the Deakin Child Study Centre on its innovative AllPlay program, which aims to make the world fit for all kids, and we see some great potential links with many of our current research programs, as well as with our new Institute for Healthcare Transformation,” Professor Crotty said.